Experts Warn "This Could Be The Final Straw That Ends America"
'This Could Be The Final Straw That Ends America' - Could It Also Lead To A Bloody And Violent Civil War Or 10 Million+ Americans Marching Upon Washington DC? With the mainstream media and Washington DC establishment still in total meltdown mode over President Donald Trump and Russia and the resultant naming of a special prosecutor as Susan Duclos reports today in her new story on ANP, we take a look at the ridiculous 'witch hunt' against Trump now underway. The fact that 'Trump loyalists' are paying little to no attention to the 'revelations rocking DC' at a time when the Democratic National Committee has been fingered for murder in a story that was quickly buried by the completely complicit and still-lying and corrupt-to-the-rotten-core mainstream media proves to us the 'battle lines' have been drawn and danger lies ahead. As ANP reported soon after President Trump thrashed Hillary Clinton in the November 2016 election, we truly expected a 4 to 8-year long series of temper tantrums to be thrown by 'the losers' and as we see in this story, that expectation was right on the money. And with a very real attempt at a presidential 'coup' now playing out before our eyes as Mike Adams reports in this story over at Natural News, some believe America may now be in more danger than ever of a violent and bloody civil war erupting within this country as detailed within this story and the 1st video below. From completely spent 'social justice warriors' and snowflakes breaking down in the streets of America and upon college campuses to completely clueless Congressional representatives hyperventilating impeachment, the fact that a huge part of America is still taking aim at President Trump, including many 'never-Trump' Republicans, should tell us something huge 'behind the scenes' is now in the works. And as one Trump supporter recently stated, "If you're wishing for him to fail, you're basically wishing for the pilot of the plane to crash" and with 'the pilot of the plane' crashing, so does America. As even Russian President Vladimir Putin recently warned, if you're hoping to take down President Trump, you're going to be taking America down with him. 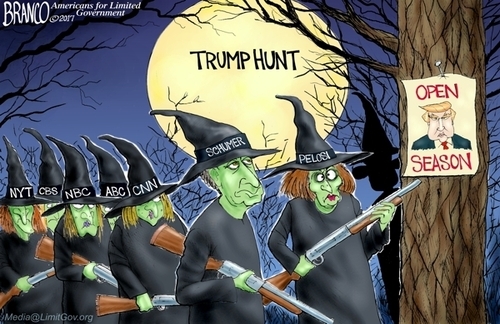 Putin also claims he has evidence that proves Trump didn't leak any special secrets to Russia and that this 'witchhunt' is exactly that...a bunch of rotten-to-the-core witches on a hunt for President Trump. We can also see in these attempts to bring down President Trump a last-ditch globalist attempt to complete their long hard work, the destruction of America. In this new story over at the Huffington Post called 'The End Of Trump' they report: the question is no longer whether there are grounds to impeach Donald Trump, it is when enough Republicans will put their loyalty to America ahead of their loyalty to their party. Just the latest story proving most Dems are all-in 'out of their minds', Huff Post neglected to report how many worse things Barack Obama did in 8 years in his all-out drive to destroy America, including all-out obstruction of justice in his pathetic and failed attempt to get Hitlery Clinton into the White House. 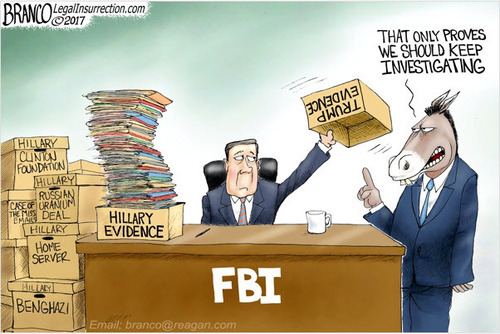 Proving to us the pathetic dems have a huge double standard when it comes to 'obstruction of justice', we shouldn't be surprised, we have been warned they'll stop at nothing to destroy America. And as we hear from Lt. Colonel Tony Shaffer in the 1st video below, President Trump needs to understand that the 'deep state' has declared war upon him. First, from this WND story. Andrew C. McCarthy led the prosecution of Sheikh Omar Abdel Rahman and others for the 1993 World Trade Center bombing and plots to blow up other New York City landmarks. In his latest column for National Review, McCarthy says those purporting outrage now said virtually nothing when President Obama arguably took more egregious actions with respect to Clinton. “In a few ways, the Obama situation with Hillary Clinton is worse than what we’ve heard about here. What Obama did was make a very public statement, which is obviously a statement to his subordinates as well as everyone else, that he didn’t want Mrs. Clinton prosecuted and didn’t think she should be prosecuted,” said McCarthy in an interview with WND and Radio America discussing his column. According to this February of 2017 story over at Medium, if President Donald Trump were to be impeached, it might be the final straw that leads to the 'end of America'. As their story reports, most Trump supporters during the election were already at the end of their rope, having already lost faith in a rapidly failing political system here in America that has allowed political criminals and garbage such as Hillary Clinton to ride roughshod over America for 30+ years. According to this new story from Zero Hedge: "10,000,000 people will march on Washington if they try to impeach Trump... they will be heavily armed. I will be one of them. No kidding" claimed ZH contributor Bon Scott. Scott not only happens to be a Trump supporter but more importantly a Constitutional expert and Big "L" Libertarian who's apparently getting more and more angry every day in response to the 'Impeach Trump' escalation. Could impeaching Trump lead to civil war upon US soil? By constantly whipping up hysteria over imagined misconduct (remember the phony story, thoroughly debunked under oath, that President Trump fired James Comey after he requested more resources for the Russia investigation? ), the media and their hyperventilating Democrat allies are driving insane the more unstable elements of their coalition. The entirely predictable consequences include violent attacks on Trump supporters and eventually could lead to a wave of political assassinations. Think I am exaggerating? These are just the most recent incidents of political violence form individual leftists. The unsolved case of Democratic National Committee data analyst Seth Rich’s death shares some eerie similarities with many mysterious deaths of individuals linked to former President Bill Clinton and twice failed presidential candidate Hillary Clinton. 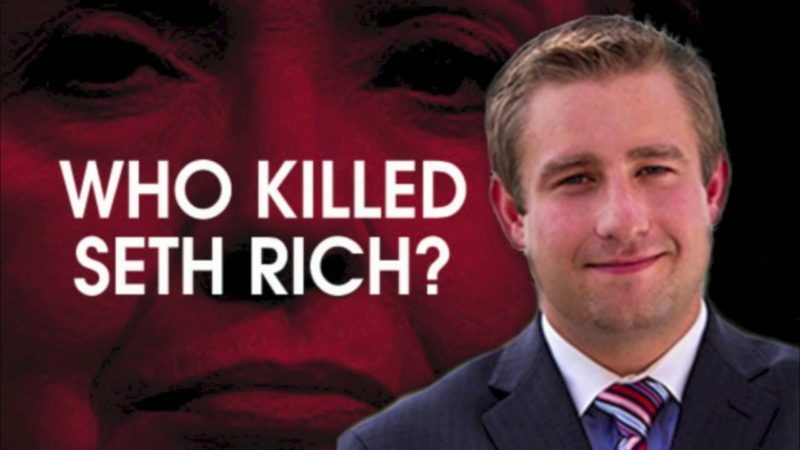 Rich worked for the Democratic National Committee as a data analyst and reportedly sent more than 44,000 DNC emails to WikiLeaks, including 17,761 attachments, from January 2015 through the end of May 2016. As WND reported, the DNC staffer was reported to have been in contact with WikiLeaks Director Gavin MacFadyen, who died just 17 days before the election of lung cancer. With 'enemies of America within' still in the White House leaking secrets to the media and within President Trump's intelligence agencies (left over from terrorist-supporter Barack Obama) doing everything in their power to take down President Trump and thus, 'take down' America, the question of WHO is pushing the 'Russia narrative' while pushing for a devastating nuclear war with Russia that would be the end of America as we know it shouldn't come as a surprise. As we've reported previously on ANP, there are those who NEED 'Armageddon' and a 'world ending' nuclear war to bring in their anti-christ 'madhi'. Likely including some of the same terrorist-supporters in Washington DC who have been funding ISIS terrorists for many years while sitting in expensive offices paid for by the taxpayer, while disguised as US politicians. In the final video below, Doug Hagmann joins Infowars and breaks down for us this ongoing war between President Trump and the deep state and how it's all about trying to manipulate the optics so that the American people turn on President Trump. Something that we cannot afford to do as he may be the only thing standing in between 'America' and the 'end of America' brought on by absolute corruption and as more and more are warning every day, a violent and bloody civil war breaking out that would be another step in destroying this country, exactly what the globalists want anyways. As we enter what should be a very interesting period of time in the world of US and global politics in the weeks and months ahead, we pray that cooler heads prevail and Americans step back and take a look at how very good we have it despite many problems. 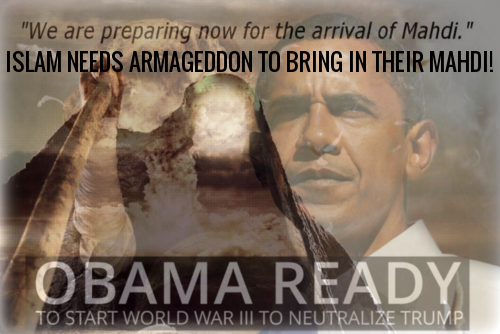 Neither terror attack, economic collapse nor nuclear war care who we voted for if they bring death to America.